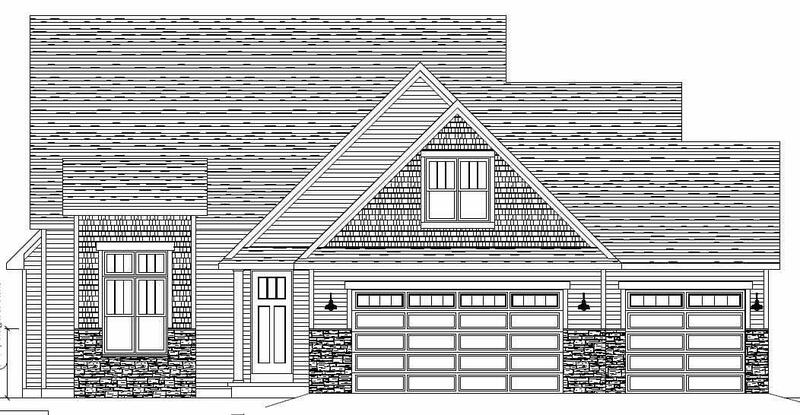 BUILT BY LEXINGTON HOMES, INC.- A FOCUS ON ENERGY CERTIFIED HOME- LOT 73- 3 bdrm, 2 1/2 bath 1 1/2 story home features a loft and many amenities! Spacious kitchen with custom painted cabinets, granite counters, large island, & corner pantry. Great rm is open to the dinette & offers a gas log stone FP. 1st floor master suite boasts a large WIC & full bath w/ tile shower & dual sinks. All bedrooms w/ WIC's. Additional unfinished upstairs 4th bdrm for future expansion.